Without a doubt, the body needs reinventing. To have a meaningful life, you have to use your body – you can’t experience anything without one – and so your body should be meaningful, too. What would give your body its highest meaning, purpose, intelligence and creativity? Only the sacred side of our nature. 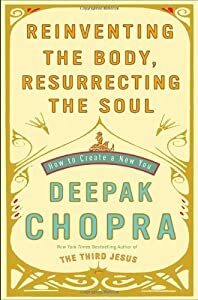 You literally cannot have a body without the soul. This is the forgotten miracle. Each of us is a soul made flesh.